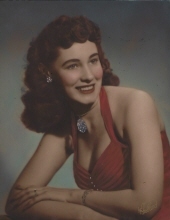 Patricia Pearl Fournier, age 83, October 20, 2018. Loving mother of Roswell, Charmaine, Cindy, Brenda and Darlene. Dear grandmother of 18, great grandmother of 38, and great great grandmother of 3. Patricia was married, at age 17, to Robert Fournier They were married for 51 years. Patricia was a model for 2 years for Jim Handy Studios. She owned Bellemai Salon, a dog grooming salon, for 30 years. In 2003, Patricia retired from the Salon and moved to Sun City, Arizona. To send flowers or a remembrance gift to the family of Patricia Pearl Fournier, please visit our Tribute Store. "Email Address" would like to share the life celebration of Patricia Pearl Fournier. Click on the "link" to go to share a favorite memory or leave a condolence message for the family.